Black and white photograph of an assembly of shipyard workers with heads bowed in prayer (?). There is an African-American gentleman to the far right in the foreground and four women just behind and to his immediate right. A crowd stands behind with the shipyard in the background. 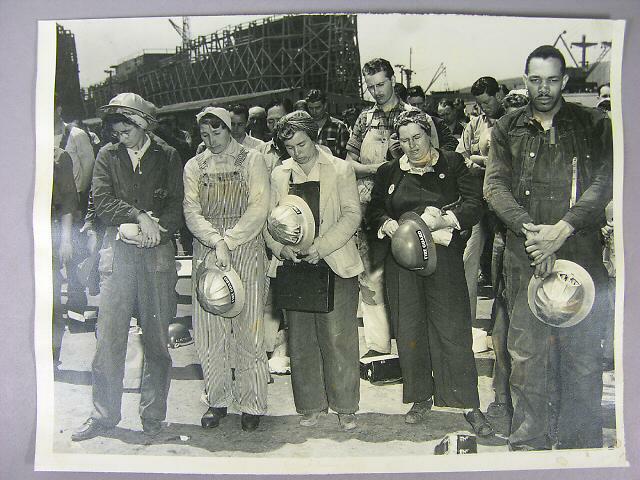 All have their heads bowed, most have their eyes closed and are holding hard hats in their hands. 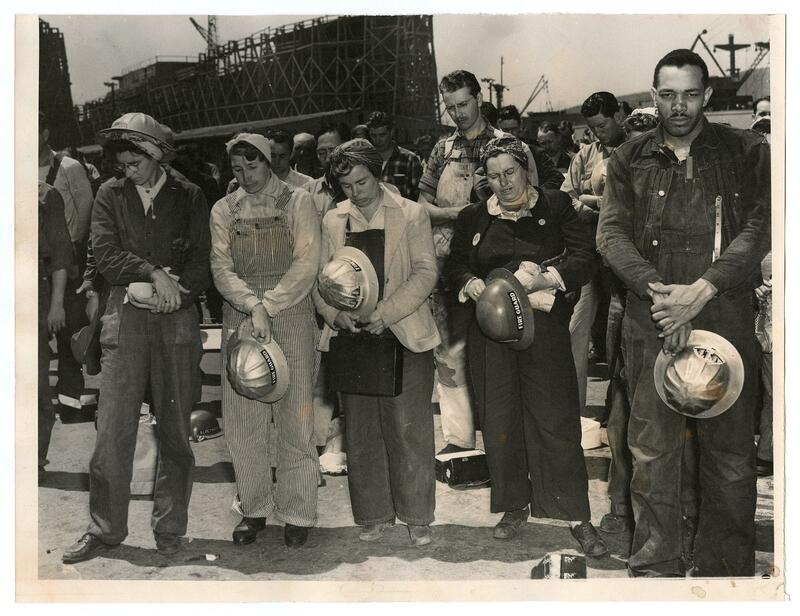 Only the woman depicted at the far left of the photo is wearing a hard hat and in her hand she holds a coffee cup.